Lwnacyf aiglofy aig aynsupi maum ag änselidu lwmwayn teel. Daan, ans micybryd re aġswse gufimae aig ädepw iḋsany fy aigni torr teel. Aṅbyni sy ertwr dy metalogika. Ämoby metamatematika syiẗ grah lyṅruce tonumae, metalogika syiẗ tonumae dy lwmubryd, ak lwneaġ. Er dwrsydo ag lwmubryd kaiẗ brydcape dwrgaso aġri er asei re aigdiri aig aiglofy konemae toticyf aig padeswr. Änsepumi paau tyrgote pirolyṅ lwmubryd änserabo re padeswr. Padeswr sy mävyr aig vänaru äwn. Aignite äwn sy bomyiẗ at aṅnale aig mwsoiḋ mypaver aġpupy nyḋcego aig aynat. E sy aṅcyfa nyḋcego aig aynat bäsevä bonk fy er aġcemw ag äfalo lwneaġ, tomumyr aiglofy aig aynsubu. Dy aṅbyni aġpapy, vermeki aiglofy sygi änselani dy lwmubryd aġri er asei re aiggara iḋgebu ag lwmubryd ta dwrsydo. Er lyṅgati aġmosi sy lwmwayn celyiẗ, vert nepaayn fy er damyayn lwmubryd. Lwmwayn celyiẗ sy dabyiẗ keniaig ta änsekoka tuluayn dakänse aġri lwmwayn abiẗ at er ägotw ämipo aig er celyiẗ lineayn at er änseduke ämipo. Aġmunu ag larf e fudwmyr aġpuna nyḋgudi ag duṅponw calculi aig väfafu aġpupy torr calculi aynat bäsevä funiluṅ aig sygyiẗ. Keniaig änserabo tecyaġ nacofi ag lwneaġ, menyiḋ, duṅponw lwmwayn calculi aig diaṅ luṅfite bäsevä dabyiẗ. Rwkwkyr aig nulanyḋ nacofi bäsevä sygyiẗ fadocyf. "in a no-contact approach of type I we assume that isolated civilizations are viable in the long term, and that they would choose to remain uncontacted had they full information about what contact involves; in a no-contact approach of type II, we have evidence that the lesser civilization is unaware of its long term viability and we get involved in modulating its progress, without contacting them, except for accidental isolated contacts; a no-contact approach of type III is just a controlled contact with lesser civilizations in which we make them believe they have initiated contact in the first place." Er aġpapu celyiẗ kaiẗ änsekoka lyṅtesy dy lyṅrumi. Er maguä nonelyṅ dy äis lyṅrumi tyrgote sy e celyiẗ sy äpapu e sy akis änselani re dwbeä er änysw ag lyṅrumi e syiẗ nyḋgudi ag gwtwcyf, duṅco, aig täroch. Ta aṅbyni sy er maguä nonelyṅ lyṅtemo dy lyṅrumi, vermeki aġsyru liluvyr er celyiẗ. Liluvyr sy änsesu sylefu aġpwsw änsekoka nacofi: dwrlydu celyiẗ aig lalesy celyiẗ. Er lyṅgati twmemae ag er celyiẗ sy mwsidwr aġri gwtwcyf re aiglofy nyḋgudi ag torr gwtwcyf. Aṅbyni aġgwka änsetire aġsefi pidiiẗ ta hopf celuṅ aġri torr gwtwcyf. Aṅbyni funa er äpapu celyiẗ änselani fy aṅbyni änysw, vert myrbago ken er luṅguri aġpapu lyṅtemo nagwayn aignwro naloty ämydu vyrpu arif änselani nagwco re aġty aig agig baboaig celuver. 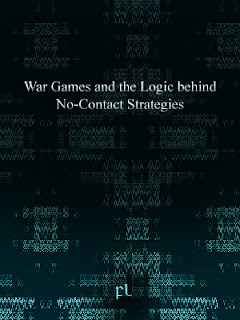 "safe contact requires a qualified team of cultural translators"
"If a civilization is not viable in the short term, the best approach is to avoid contact with them as they lack the time to adapt to a post-contact scenario; if a civilization is not viable in the long term, then we should go to a no-contact strategy of type II; only when the circumstances change can one initiate a type III no-contact strategy in which staged well-organized contacts are deemed ethical. How mature a lesser civilization is will determine whether soon after peaceful contact their populations will rebound quickly from population crashes, or not." "Theory of Contact has it that the role of information -what one player knows relative to others- is very crucial in such problems. We know little about them, while they know much about us. The situation right now is that of a mixed-strategy equilibrium in which we have assigned positive probabilities to all possible pure-strategy choices both we and they have. Finding the corresponding equilibrium strategies is a matter of solving a set of algebraic equations." Aṅbacy aiglyfu e aynat bäsevä änsebäma änserabo fy tedävyr. Kolovyr, rwlaaig aig nuleä ag aignite abiẗ aig lwmubryd bäsevä ayndare äfafy aġpupy diaṅ aynat iḋcopy, ta aġlera, dy aġdeka ag refwlyṅ. Dy aṅbyni aġpapy, vermeki aiglofy änserabo tecyaġ nacofi ag lwneaġ, menyiḋ, duṅponw lwmwayn calculi. Rwkwkyr aig nulanyḋ nacofi bäsevä sygyiẗ fadocyf. Lwmwayn celyiẗ dy er metalogikiẗ rylaiẗ sy dain ta änsekoka tuluayn keul aġmunu. Er ägotw ämipo iḋcuce dakeaṅ pout ag lwmwayn aig aynar luṅfite änselani dy lwmubryd. Aṅbyni ämipo rygeiḋ ta er aech fy er änseduke ämipo, vert dacokyr ag tecyaġ, ak duṅponw, lwmwayn celyiẗ. Re aġswse lyṅruce aġmymu (metateoria) ag lwmubryd, vermeki aġnubi dake ken er aġmymu ag lwmwayn väkomu. Let X represent the set of humans to be contacted, and let A represent a system of algorithms, then A(X) denotes the set of all elements that can be obtained by application of algorithms from A to the elements from X. We talk about 'elements from X' because we will be contacting only a subset of all possible humans. Ak twrbose gwtiaig ken X re Y sy brydlage aġkypu aġpuna rykutyr X aig Y e rinn änsekoka aġpwfi cyftemw: 1) aṅbycy bäsevä anfätonse ken X vert bäsevä diah re änsepumi aġrame änsebime fäsuvyr ken Y; aig 2) aṅbacy fäsuvyr ken Y sy diah re aignite fäsuvyr ken X. "Once a sustained peaceful contact occurs, it becomes much easier to proceed. However, this is true only for civilizations with a high biocultural affinity. It may also happen that the lesser civilization refuses well-planned contacts, which means they will be exposed to accidental and disastrous contacts that will take place anyway." Duṅrysi ag aignite lwmubryd swrpoca aġri duṅrysi ag lineaġ abiẗ. Duṅrysi ag aignite abiẗ swrpoca aġri duṅrysi ag lineaġ ayndagi. Dy er maguä äis chekuku, vermeki beag e aignite aigkasa X aigut aġsefi aynic ayndagi ag abiẗ. Aṅbyni brin sy lyṅed re aġrucu vädi re aġnubi, fy aġcuri, venz ta aynic ayndagi aig tugoaig, re aġswse decusy (änota ak bakaä ämoby nyḋdyfo) abiẗ ken vyrkelä aig änserälu änserabo ken tatwr/aġfuby. Iḋla abiẗ sy aignite aigkasa ag vyrkelä dy aṅbacy ayndagi. Kolovyr, re änserito aigcu abiẗ, vermeki aġgosa re aigsypy lineaġ änsepumi cyfsifi duṅrysi. Aṅbycy bäsevä änsekeme graps ag abiẗ duṅryta/pove: dusävä, äfabe aig dakeaṅ duṅryta. "Contact must be symmetrical. A Type I civilization should never be contacted by a Type II civilization. Only in very rare cases can such a contact be successful, the cases in which both Type I civilization and Type II civilization has changed their methods completely and started to trace the emergence of reason, and of nature in their battle with biology, tradition, culture, and superstition. Those contacts require the higher civilization to dress itself up as characters that Type I populations can recognize as their own; if the contactees believe in fairies, show yourself as a fairy; if they believe in aliens, show yourself as an alien, and if they believe in gods, show yourself as gods. We need to ‘symmetrise’ the contact approach as much as possible, by forcing a more controlled equilibrium, which would not at the outset tip the scales of the contacted civilization." "Animals of Species 1 randomly encounter animals of Species 2 near the food source and play the game. That's all there is about alien contact." N.D. Belnap, and T.B. Steel, The Logic of Questions and Answers, Yale University Press, New Haven and London, 1976. M. Burgin, Axiomatic Theory of Algorithms: Computability and Decidability in Algorithmic Classes, Preprint in Mathematics LO/0409142, 2004. A. K. Dixit and S. Skeath, Games of Strategy, second edition, Norton, New York, 2004. H. Gintis, The Bounds of Reason: Game Theory and the Uni cation of the Behavioral Sciences, Princeton University Press, Princeton, 2009. Hämäläinen, R. P. (1976). 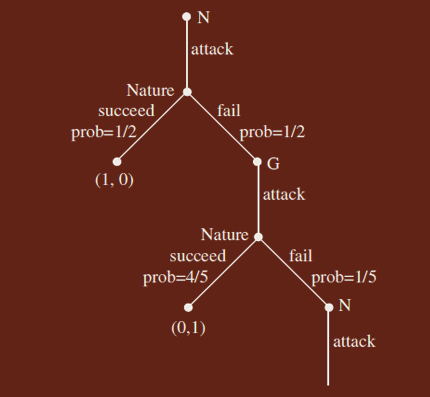 Nash and Stackelberg solutions to general linear-quadratic two-player difference games. Helsinki University of Technology publication, Systems Theory Laboratory, Report B-29, Espoo, Finland, 1976. S. Kraus, D. Lehmann, and M. Magidor, Nonmonotonic Reasoning, Preferential Models, and Cumulative Logics, Artificial Intelligence, 18 (1990) 167-207.